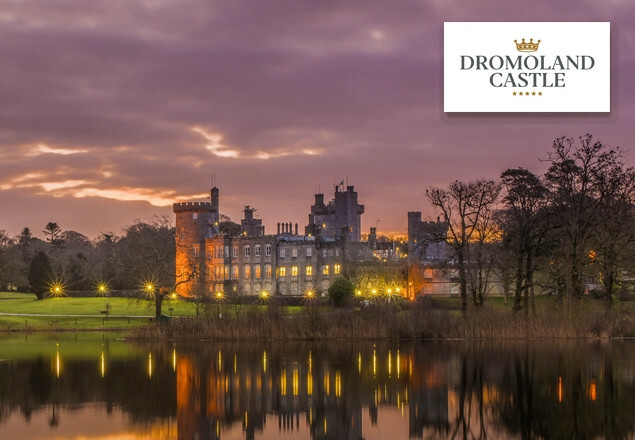 Rewarding Times is pleased to present an exlusive offer with Dromoland Castle, Clare. The deal includes overnight accommodation in a Queen Classic Room, Full Irish Breakfast, Mrs White's Afternoon Tea and a 20% discount off Spa Treaments. Dromoland Castle has been welcoming guests since the 16th century. The ancestral home of the O’Briens of Dromoland, whose lineage dates back 1,000 years to Brian Boru, we’ve got nobility and hospitality in our DNA. From the imposing baronial façade to our startling interiors, you’ll find a world of historic grandeur underpinned by the finest modern comforts. With lavish decor, indulgent dining, fabulous views and magnificent bedrooms, this is a place to feel at home. Behind our warm Irish welcome is the belief that every guest is royalty. Stroll the 450-acre estate. Tee off on our world class golf course. Take afternoon tea by a roaring fire. Relax in our intimate spa. Enjoy delicious cuisine. No matter what your preference, at Dromoland Castle there’s no escaping the sense that you are walking in the shadows of kings. Offer applies to Queen Anne Rooms. This offer is available for May 2019 only and not transferrable to any other dates. Space offered is based on availability at time of booking.